The Historic Stuart Guard Station was originally built by the Civilian Conservation Corps (CCC) in the early 1930s and was afterward in regular use by the Forest Service for several decades. Later, as the Guard Station went into disuse, it suffered not only from time, but from the elements. So, between 1994 and 1996, extensive reconstruction work was undertaken, and the Station and its garage were revitalized. 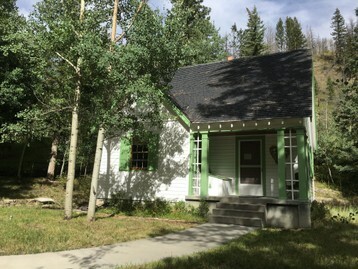 Since that time they have provided a place for visitors to get questions answered and to learn about early FS history and the immense contributions of the CCC to the Manti-La Sal National Forest. PIT volunteers have been pivotal in filling that niche! So, once again, we call upon your aid as Forest Service/PIT volunteers to keep the station clean and tidy, and to provide information and interpretive services to visitors. Applications will only be accepted until the project slot is filled, so apply today!